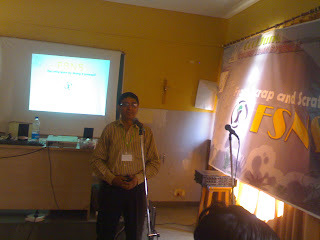 Hi, on April 26,2010 I conducted a 4 hours training workshop on electronics for class IX students of a School in Dwarka. This was just next to Metro Station of Sector 11. 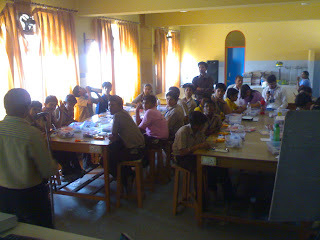 There were 21 students and five team members and all of us enjoyed and learned. For me it was a really great experience of interacting with students. It was after 35 years that I spent over 4 hours in a physics lab. For four hours session, it took me total of three days, preparing electronic kits, some documentation and lot of communication. The team included Gurpawan Mand of Cool Junk and two engg students Swati and Pankaj from Ludhiana College of Engg, Punjab, Parul Jain, an Instrumentation Engg from NSIT. I think we enjoyed (Students, Pankaj, Swati, Gurpawan and me) it together and infected each other with our excitement, energy and enthusiasm. Today We enjoyed a lot . It was very very very very..................very very very.................... much interesting . I learnt a lot . Thank you very much .